Long one of the beacon-cities of the west, Denver Colorado is where the mountains begin, and one of America’s fastest growing and most culturally exciting metropolises. 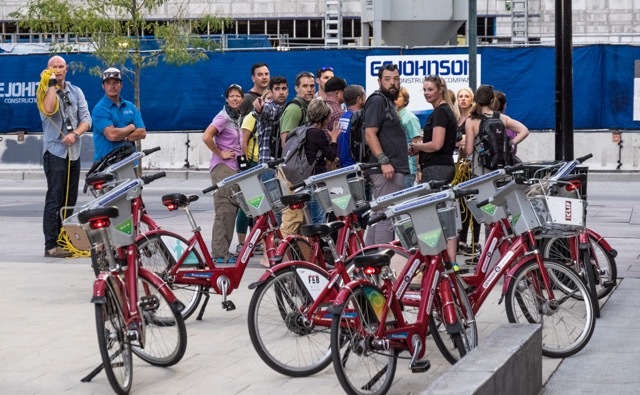 With investment in business, the addition of the annual Outdoor Retailer Trade Show, and world class hotels, restaurants, trails, bike paths, and access to the mountains, Denver is an example of a strong local economy and Colorado’s growth towards a progressive and forward thinking state. 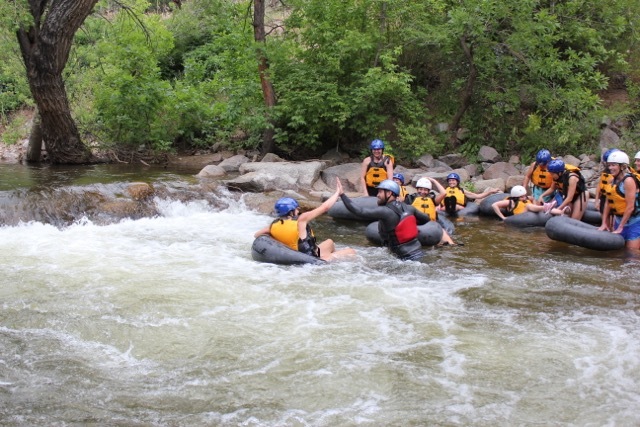 Visit Denver and Visit Colorado are proud to welcome all groups and corporate teams to Denver, and Colorado Wilderness Corporate and Teams is there to provide exciting group tours and team building events that’ll have your group talking well after the day is done. 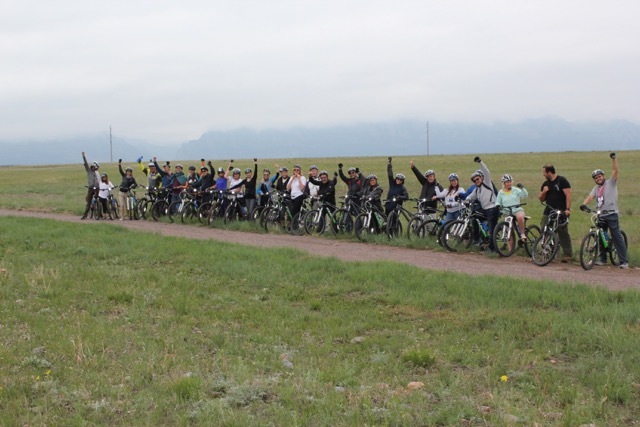 Check out of some our full and half day group activities in Denver for your group: Click here. Group Tours In Denver – Groups R Our Specialty. 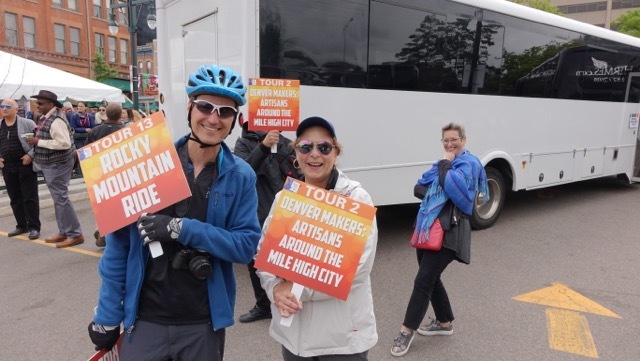 Denver is the perfect launching point for tours out and round the area, including stops in Golden, and the surrounding area of Jefferson County. From the city there areas rife for mountain biking, hiking, sightseeing, fly-fishing and rock climbing. With only a 30-minute drive to reach the cliffs around Golden and Clear Creek, we have easy access to such iconic Colorado landmarks such as Red Rocks Amphitheater, Mt. Falcon, Golden Cliffs, and Centennial Biking Trails. 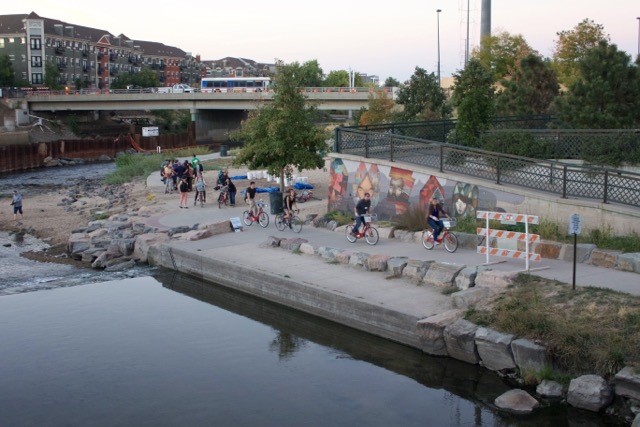 Organize groups need permits to utilize different outdoor options in and around Denver. We have more than 19 land managers permits or concessionaires (10 year permits) to help open up all the local gems for your group. In the area, guests can also explore the famed amphitheater of Red Rocks, long one of the great temples of American rock music. Red Rocks has played host to such great bands as The Beatles, The Grateful Dead, Jimi Hendrix, John Denver, and U2. As we enter the amphitheater we’ll get to walk the stairs and imagine a full arena with the lights of downtown Denver shining brilliantly in the background. Whether we’re exploring Downtown Denver, or the surrounding areas around Golden and Clear Creek, sightseeing allows guests to see the best of Colorado in our air-conditioned and heated vans. In Downtown Denver we’ll get to see some of the city’s most iconic sights, such as the Denver Mint, the State Capitol Building, the Molly Brown House, the Art Museum, the Cathedral, 16th Street Mall, and the Convention Center with it’s famous Blue Bear. We will then venture outside of the city and get to explore the City of Golden, only 30 minutes away, one of the frontier towns of Colorado’s Gold Rush. Here we’ll visit the Coors Brewery, one of Colorado’s most iconic and beloved beers, as well as the famed main street and the American Mountaineering and Climbing Museum. Up above Golden, we’ll travel to the museum of Buffalo Bill, the famed Wild West Showman, and explore his grave, set high on Lookout Mountain where he could see the mountains and the wilderness that he loved. The mountain biking trails around Denver are renown for their scenery, technicality, and access to all ability levels. From Centennial Cone to Golden, Colorado’s North Table Mountain, the trails include challenging uphill rides, and moderate to steep, thrilling downhill jaunts. For easier rides we’ll head to Golden where we’ll ride North Table Mountain, with it’s impressive mesa like architecture, where a long moderate climb will take us to the top of the flat plateau. At the top, we’ll have a variety of options for downhill riding, from long and flow-like, to short, fast, and steep, over some moderately technical riding. For more experienced riders, we’ll head to a full day ride at Centennial Cone, which features dirt strewn single track and fun and fast riding. 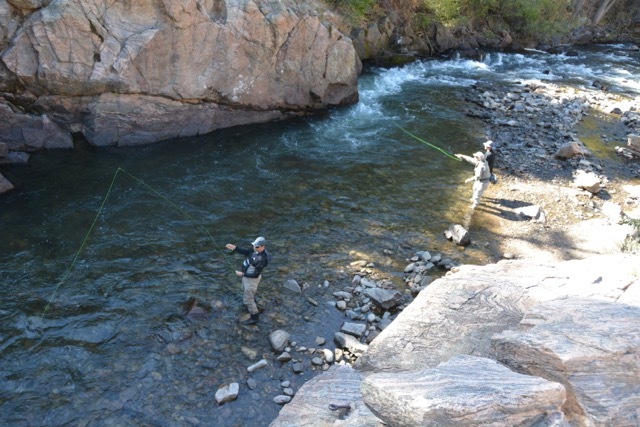 Clear Creek Canyon is set just 30-minutes from downtown Denver, with top-notch local hiking, climbing, and fly-fishing. Running alongside I-70, the Creek is popular year-round for rafting in high water in the summer, and excellent waters for casting especially in the spring and fall. With a great population of small to mid-size rainbow and brown trout, it’s a great option for intimate fishing in a small stream. After the mining operations in the area closed, the Creek gained it’s trademark translucency, which makes it not only some of the best fly fishing near Denver, but also some of the best fly fishing in the Front Range overall. This is a great spot for beginner and experienced anglers alike, and a great retreat while staying so closer to the city. If there is anything that Colorado is known for and passionate about, it’s climbing. Having bred generations of legendary rock climbers and mountaineers, Denver and Golden are the home of some of the best world-class climbing in the West. We’ll start by heading out towards Golden and Golden Cliffs, where we’ll set top-ropes (Fixed lines that hang from the top of the route) and get to ascend a number of routes from beginner, to intermediate and challenging advanced and technical climbs. 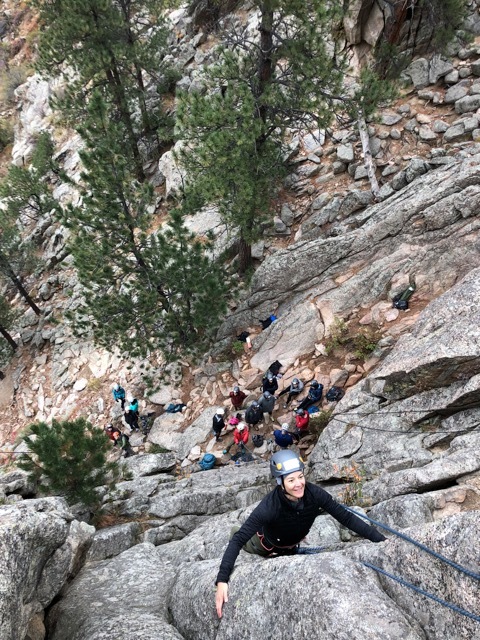 Bringing your team climbing encourages testing skills, strength, and abilities and cheering on your teammate as they make their way to the top. Alternatively, we’ll head to Clear Creek Canyon, which features stouter routes then Golden, but also features a spectacular creek-side setting and tall sandstone walls rising on either side. Choose your level of adventure and come climbing with us! Ready to really invigorate your team? Ready for an adventure that’ll explore Denver in a way few get to experience? Want to have fun and build reliance and leadership at the same time? 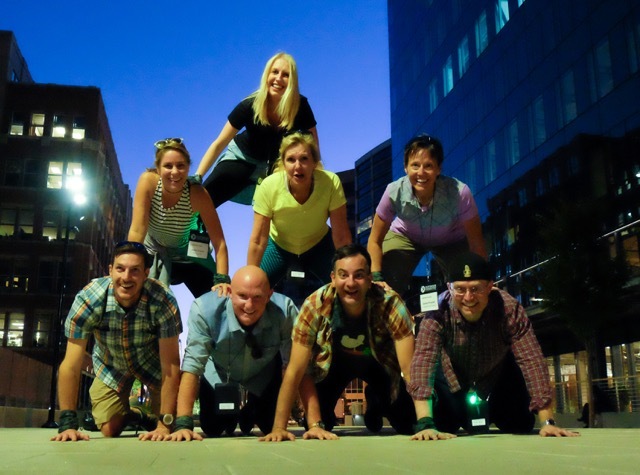 Join us for a team building adventure through Downtown Denver. Whether we’re exploring local breweries, discovering the iconic buildings of the city and learning about it’s wild and colorful history, or trying challenges that test physical and mental fortitude, we’ll create an event that your tea is going to be talking about for a long time. A Downtown Denver Scavenger Hunt will take you to discover some of Denver’s most famous gems and some of it’s most hidden. We’ll get to discover the seat of Colorado at the Denver State Capitol then find such landmarks as the Denver Mint, 16th Street Mall, the Art Museum, Broncos Stadium, Coors Field, and more. Each challenge will test your team’s mental fortitude, utilizing clues and hints to find the next landmark, location or historical relic. This challenge builds friendship, essential skills, and brainpower to learn about the city and it’s wild history. Teams now have the option to do scavenger hunts on iPhones or iPads, but we have found the outcomes and learning much great when we utilize our interactive scavenger hunts and professional educators on site to take the challenge to a whole new level of challenge and achievement. Want to take the Scavenger Hunt to the next level? The Amazing Race adds physical and mental challenges that teams complete to move on to the next station. Each challenge is specifically designed to reach a certain objective and to get teams relying on each other’s unique abilities to move forward. Checkpoints utilize professional leadership educators to administer the challenge and create reflection and debriefs on improving essential team building components to help create highly effective teams. Another Amazing Race option is the Denver Lucky Eleven (our Denver Brewery Amazing Race). This event features one of Colorado’s most well known and well-loved icons – Beer. 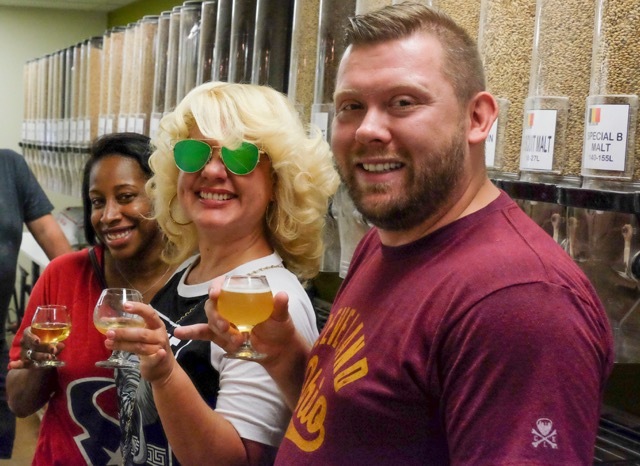 The Brewery Amazing Race will take racers to some of Denver’s most famous breweries, from Wynkoop, which was partly founded by Colorado Governor, John Hickenlooper to the Denver Beer Company and it’s whimsical assortment of brews. We’ll combine the best of stimulating challenges and some of the tastiest beers in Colorado. The event can include or exclude beer or tasters. There are opportunities for teaching leadership all around us. From innovative ideas, to taking on problem solving together, to navigating difficult situations with coolness, calm, and ease. Our experiential leadership challenges take lessons that we’ve learned from years in wilderness settings and apply that focused knowledge to your team. Utilizing Denver’s open spaces or urban centers, we’ll create a series of challenges that build reliance on the individual skills and talents of the team, and takes it to an exciting new level, as people realize what they and their teams are capable of. The greater the challenge, the greater the learning. 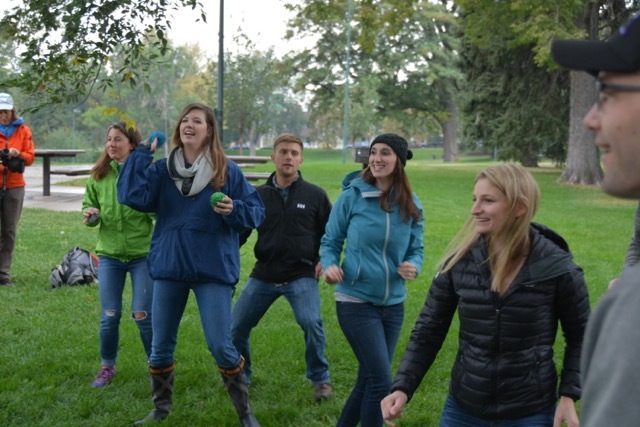 Join some our leadership development activities in Denver for your group: Click here. Everything we do is designed for individually for your group. 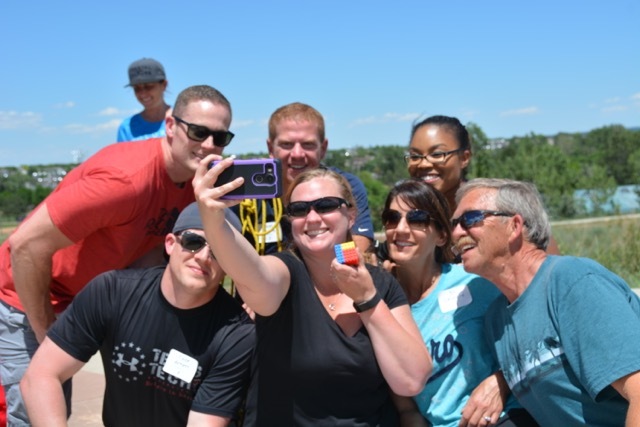 Please contact us at 720-242-9828 to discuss a custom experiential group activity in Denver, Leadership development event, team building experience or community impact event.